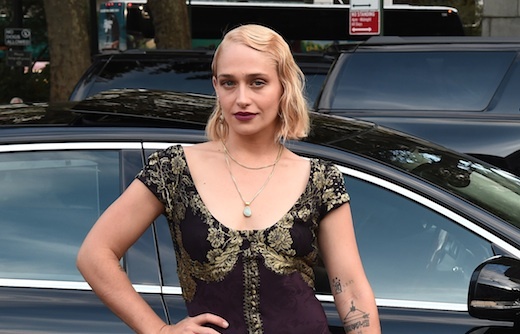 While no one needs a concrete reason to change up their hair style, Jemima Kirke from Girls actually does have an explanation for why she snipped off her signature long blonde hair in favor of a short bob back in 2015. In an interview with StyleLikeU, Kirke said she cut her hair after fighting with her husband, Michael Mosberg. "I was having a terrible moment with my husband in our relationship, and I was extremely hurt by him and extremely angry at him, and so I was feeling self-destructive. But for whatever reason I didn’t do something self-destructive, really, I just cut my hair." We really empathize with Kirke and understand that feeling of needing to make a drastic change after experiencing something emotional, whether it’s negative or positive. And of course, we’re relieved her self-destructive impulse got taken out on her hair — and not something permanent. And this is pretty cool — she literally chopped off her hair herself! A couple of weeks after she debuted her short hair, she decided to go even shorter – and Mosberg volunteered to do it. “It’s nice to have someone you love cut your hair,” Kirke recalls. She even labeled the moment “romantic,” so the situation seemed to level out. She also talks about her hair as being, “one of the only things” that made her feel pretty. “It was my go-to trick,” she admits. “I really believed for a while that without it I would be boring.” But of course, she’s anything but boring, and we love the short bob! It totally suits her. As always, thanks Jemima for being so emotionally generous. It can’t be easy to open up like that, but you did it with such grace and sensitivity.